As many of you know, this year I decided to do more than put on purple for Lupus Awareness month in honor of my mom who passed from the disease. To save time/space, click here to read my story on my mom and lupus. On May 3rd, I woke up and looked up lupus related events for Chicago, I figured I may as well get active in the lupus community. I tried to get active years back, but the timing wasn't right and many opportunities didn't come through on behalf of the two main lupus foundations in Chicago. I saw there was a walk scheduled for the 31st of the month and I checked my calendar to make sure I'd be in town. I set up my walk page, kinda typed through a few tears as I filled out the "Why I am walking" section of the team page. I designed a couple of quick graphics to help promote the walk and my quest to raise funds. I set my goal rather low, as I've never been a fundraiser- I set it at $500. By the time I went to bed, I had about $375 donated toward my walk. That next morning, I get a couple of back to back phone calls from numbers I don't know, and sent them to voicemail. I check the phone and it's Joan Pendleton, Senior Walk Manager of the Lupus Foundation of America. I gave her a call back and she spoke about how touching my story was and how quickly I raised funds in a very short period of time, which was about 4-5 hours. As we talked, I told her I really wanted to do more than walk and raise funds. I felt I owed to my mother as well as my cousin and friends who are battling lupus each day. We set up a meeting for the following week to discuss the inaugural Chicago walk and beyond. Here are a few graphics my wife and I used to promote lupus awareness as well as soliciting donations. We chose to get our businesses involved and extend our reach. We figured, doing a few designs and making up a few faces wouldn't hurt our pockets, but it's a labor of love to benefit someone else. Every other month my fraternity hosts a networking event, Blu Tuesday. This month we decided to add some flair to the event and recognize lupus awareness month. We asked that our guests wore purple, they obliged. It was nice to see so many people in their purple ties, bow ties, dresses, and accessories for the cause. 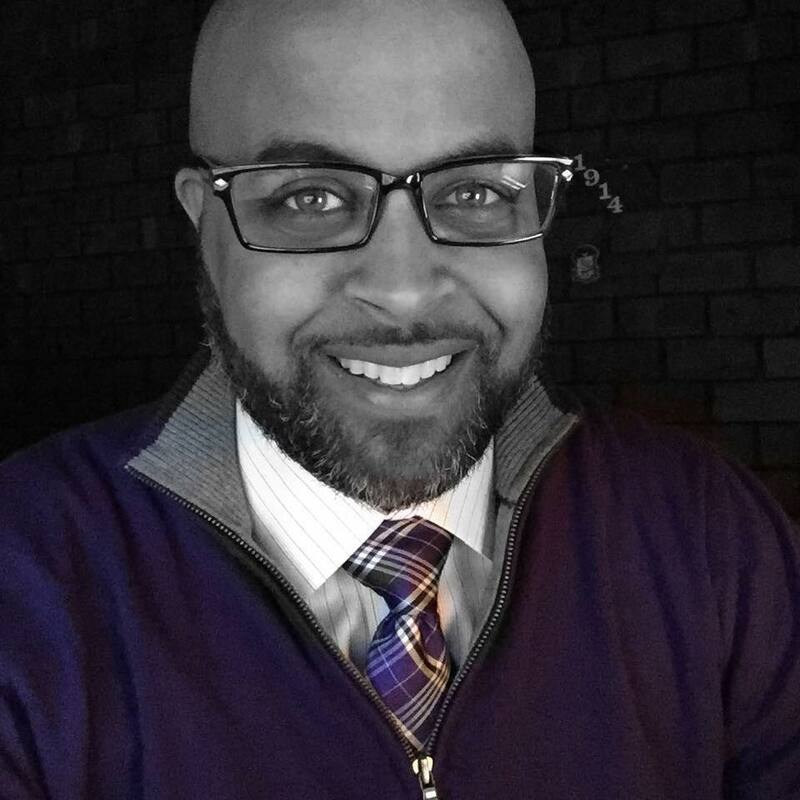 I normally wear a tie or bow tie to Blu Tuesday, but it felt good to put on my purple for the cause. Almost 100% of the time, I have on a Phi Beta Sigma lapel pin, but I traded them in for the day for my lupus "cruel mystery" pin, which is a great conversation starter. Joan Pendleton, Senior Walk Manager of the Lupus Foundation of America came out to support Blu Tuesday as well as make new connections. I met Bettie Carter from the Living Life With Lupus support group on Facebook a short while back, but met her in person at the walk. My wife committed to donating a makeover for every individual contribution of $100 or more to the LLWL support group. My wife is always supportive of everything I do. I'm glad she pitched in and was right there with me. I got called up on stage. I got to cut the ribbon! Because of the generous donations from my network, I was the top individual fundraiser and was able to cut the ribbon for the inaugural Chicago walk! Ruth and I were able to lead the walk with over 300 walkers behind us. Even though this was a walk, we wanted to stage some action shots crossing the finish line. Finally back in the warm car after the brisk walk by the lake. Monies are still being turned it, but over $50,000 was raised from the innaugural walk. I got a little hardware for being in the $1k+ donation club. "Show me who your friends are and I'll show you who you are"
That's the first quote to come to mind when I got home from the walk. I have dope friends who are supportive, thoughtful, reliable, and giving. This wasn't about raising money, recognition, etc. It was about my friends supporting me in honoring my mother's memory by doing something for someone else. The goal of all of this was, to do as much as I could, with what I had, when I could- for someone else. My mother may be gone, but my hope isn't gone for a cure or a continued quality of life for others. I've only received one other award in my life, and receiving this lupus warrior medal- as insignificant as it may seem to others, means a lot to me. I'm sure my mother is proud of me, it's the least I could do. I'm not done, the walk was just the beginning. 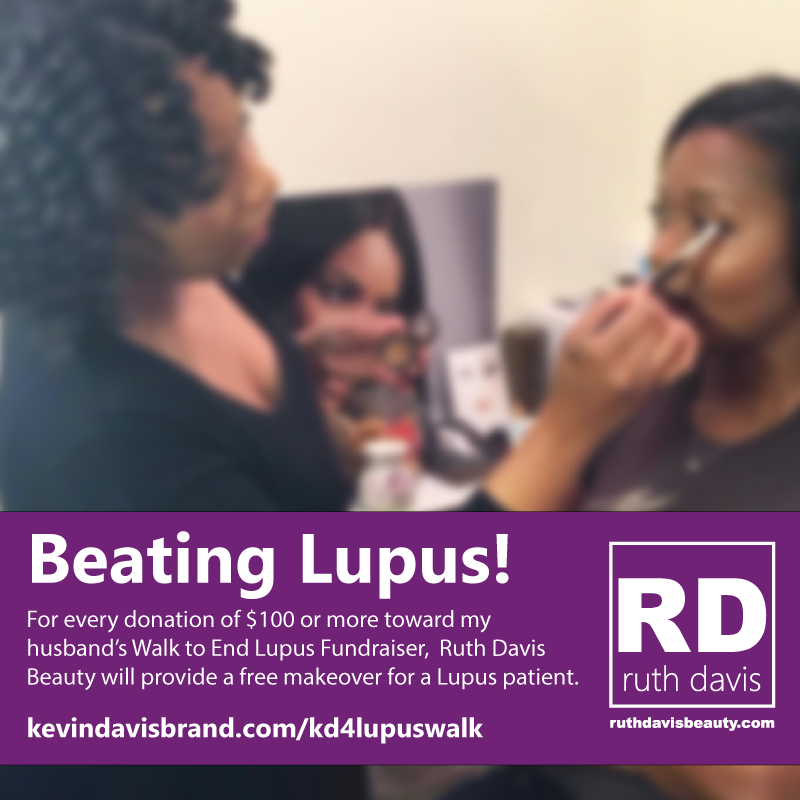 Lupus awareness is lacking in our communities, and I'm committed. I don't care if you get sick of seeing my face, the word lupus, nor the color purple... The cause speeds on. For mom, and everyone else in the battle against lupus.